Sleep is a key part of a healthy life. For the best sleep, you need a high-quality mattress. Walls Mattress provides high-quality Tempur-Pedic mattresses so that you can have the sleep that you deserve. Come to our Tempur-Pedic mattresses store in Indianapolis, IN, to find the ideal mattress for you. Our Tempur-Pedic mattresses are designed from TEMPUR material to provide the best night’s sleep that you can imagine. We are committed to offering you the best possible mattresses. When you use a Tempur-Pedic mattress, your sleep improves. The TEMPUR material responds to your body temperature, weight, and shape so that the mattress adjusts its firmness and style to your particular sleep needs. Our Tempur-Pedic mattresses also minimize pressure on pressure points that keep you awake. The TEMPUR material adjusts so that your body is ideally cushioned for sleep rather instead of irritating the pressure points that prevent you from sleeping peacefully. In addition to these benefits, TEMPUR material dramatically reduces motion transfer so that you move less — and other movement on the mattress, from a partner or pet, won’t disturb you. You sleep better when your sleep isn’t disturbed. Since 1996, we have provided mattress services throughout the Indianapolis, IN, area. We are a second-generation family-owned business that strives to bring Tempur-Pedic mattresses to you and your family for your comfort. We offer a comfort guarantee for all of our mattresses — until your comfort is satisfied, we won’t rest. We work tirelessly to help you find the right mattress so that you can sleep peacefully. 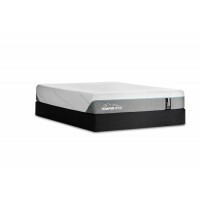 Walls Mattress is the Tempur-Pedic mattresses store in Indianapolis, IN, to bring you the sleep of your dreams. Explore our Tempur-Pedic mattresses below and call 317-516-5163 with any questions. We’re ready to offer you more information so you can find the right mattress.